A surprisingly thorough look at the mechanisms of technological discovery, innovation, and research. 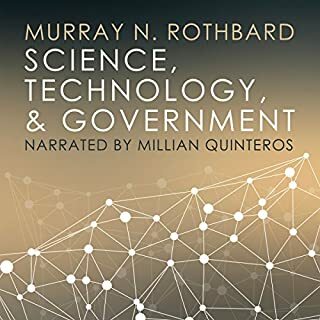 Rothbard shows effectively that the rightful source of funding for these endeavors is the free market, not government. Furthermore, he artfully illustrates that where there is no corresponding rise in offered wages, there can be no true shortage of scientists. 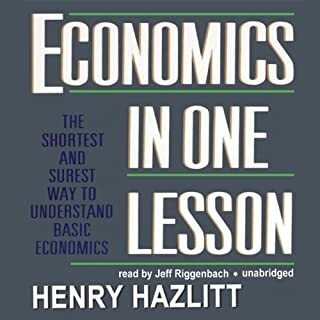 In a more concise fashion than Rothbard, Hazlitt provides a thorough introduction to the basic concepts of economics and gives effective arguments against the most detrimental Keynesian fallacies. Highly recommended. 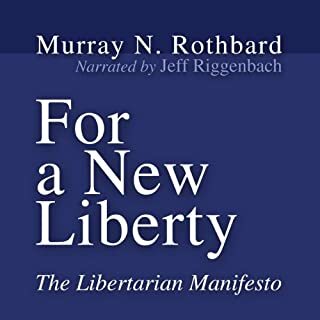 Starting with the philosophy of self-ownership and private property rights, Rothbard builds a brilliant case for the freedom of humankind. He provides countless examples of the harms of state intervention--right and left--and expounds upon the benefits that result when communities and economies are allowed to be free. Truly a must-listen for anyone interested in the intersection of philosophy, policy, and human behavior.